Duy Doan has been selected as the winner of the 2017 Yale Series of Younger Poets competition for his manuscript, We Play a Game. Yale University Press will publish his book in April 2018. This article was originally published by Yale University Press. Yale University Press is pleased to announce a winner in the 2017 Yale Series of Younger Poets competition. The judge, prize-winning and critically acclaimed poet Carl Phillips, has chosen Duy Doan’s manuscript, We Play a Game. Yale University Press will publish We Play a Game in April 2018. The manuscript is Phillips’s seventh selection as judge and the 112th volume in the series. Carl Phillips’s sixth selection, Airea D. Matthews’s Simulacra will be published by Yale University Press on March 28, 2017. Duy Doan is a Vietnamese American poet from Texas. A Kundiman fellow, he received his MFA in poetry from Boston University. His poems have appeared in Slate, The Cortland Review, Best Emerging Poets: Stay Thirsty Magazine, Amethyst Arsenic, and elsewhere. 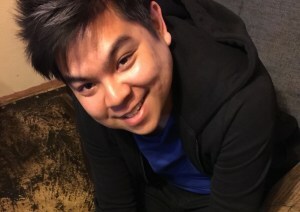 A recipient of awards from the Massachusetts Cultural Council and the St. Botolph Club Foundation, Duy has taught at Boston University, Lesley University, and the Boston Conservatory. He is the director of the Favorite Poem Project, which celebrates the role of poetry in the lives of Americans. He lives in Jamaica Plain, Massachusetts. Awarded since 1919 by Yale University Press, the Yale Series of Younger Poets prize celebrates the most prominent new American poets by bringing the work of these artists to the attention of the larger public. Earlier winners of the prize include such talents as Adrienne Rich, John Ashbery, Jack Gilbert, Jean Valentine and Robert Hass. It is the longest-running poetry prize in the United States. For more information or a photo of Duy Doan for publication, please contact Alden Ferro, Publicist, 203.432.0909, alden.ferro@yale.edu.